Those who say that social marketing ads are no longer effective are in trouble. Social media sites such as LinkedIn, Twitter, Facebook, and Pinterest continue to soar high and dominate the World Wide Web. Undoubtedly, they are here to stay! 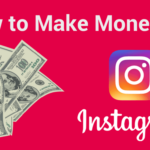 Online marketers have proven the effectiveness of social media marketing from where they have made very decent money online for selling their products and services, and they have been able to engage and interact with customers before they ever meet, or NEVER meet! So, why is it that some businesses still don’t use them? If you’re still on the verge of deciding whether to use social media for advertising your products or services, then check out these reasons you should use these social sites! Prospects. The majority of internet users are on social media and they spend about 20 percent of their online time here. Think about it! This is a gold mine. Connection. You should know that social sites are some of the best venues to connect. It’s like entering a thousand homes at a time. It’s staggering when you think about it! Relationship. If social media marketing isn’t the easiest way to build rapport to users, then what is? Posting social marketing ads helps you connect to millions of users at once. Cost-effective. Promoting your network marketing business hasn’t always been easy. Now, it’s a breeze to market your products or services online without even spending a dime. You can also recruit new members to sign up in your work from home network marketing opportunity. It is truly that easy! Nothing could as cost-effective than using social media for ad posting and marketing your MLM biz. At the same time you could invite new members to your team as well. Latest trends in marketing. Long gone are the traditional yellow pages or newspaper classified ads since the conception and creation of social media. Simply put, they are no longer effective in a Digital Age. How Do You Make Social Marketing Ads Work? You should take note that your ads go beyond being on Facebook, Twitter, or LinkedIn, but that is because of implementing advanced strategies. If you already know the basics of online marketing, then these things are much easier for you! • Multimedia. In network marketing, don’t just rely on articles, blogs, and reviews, but you should also focus on making videos and pictures. These are other key ingredients to influence buyers to buy your products or services or get new members to sign up for your business. • Combine offline and online social media advertising. If you’re a network marketer, you should consider using other means to promote your business such as print, radio, or cable. You can extend your business not only to online but to offline prospects, too. You should add your blog URL in your offline ads to increase customer awareness of your business. • Tailor your message. Be unique in delivering your network marketing business’ message. Don’t use the same messages that others are using. Customizing your social media message can help users receive unique communication from you, which in turn help them recognize you easier. • Use social marketing ads in giving discounts and posting contests. You can make exclusive discount offers and promos to your prospects. These can make a buzz among your prospects, which in turn can spread the word about you. For example, create a contest wherein the contestant whose post gets the most comment on Facebook shall win. It’s a win-win for you since your website can become viral, winning more prospects in the process. Social media is indeed what you should use to make your network marketing business viral. You should definitely use it to promote your online marketing campaigns together with your products and services. Most importantly, you could get more members to join your team, which gives you more chances of earning commissions and growing your network. If you would like to learn more about how you can market with social marketing ads online, then CLICK HERE now!